Match ends, Jamshedpur FC 2, Delhi Dynamos 1. 90+5' Second Half ends, Jamshedpur FC 2, Delhi Dynamos 1. 90+4' Attempt saved. Martí Crespí (Delhi Dynamos) header from the centre of the box is saved in the top right corner. Assisted by Lallianzuala Chhangte. 90+2' Lallianzuala Chhangte (Delhi Dynamos) wins a free kick on the right wing. 90+2' Foul by Dhanachandra Singh (Jamshedpur FC). 90+1' Attempt missed. Sumit Passi (Jamshedpur FC) header from the centre of the box is close, but misses to the right. Assisted by Mobashir Rahman with a cross. 90' Substitution, Jamshedpur FC. Mobashir Rahman replaces Carlos Calvo. 90' Martí Crespí (Delhi Dynamos) wins a free kick in the defensive half. 90' Foul by Jerry Mawihmingthanga (Jamshedpur FC). 88' Mohammad Sajid Dhot (Delhi Dynamos) wins a free kick in the defensive half. 88' Foul by Sumit Passi (Jamshedpur FC). 86' Offside, Jamshedpur FC. Jerry Mawihmingthanga tries a through ball, but Mario Arqués is caught offside. 85' Attempt blocked. Vinit Rai (Delhi Dynamos) right footed shot from outside the box is blocked. 85' Attempt saved. Andrija Kaludjerovic (Delhi Dynamos) right footed shot from the left side of the box is saved in the top centre of the goal. 83' Foul by Daniel Lalhlimpuia (Delhi Dynamos). 83' Tiri (Jamshedpur FC) wins a free kick in the defensive half. 81' Offside, Jamshedpur FC. Mario Arqués tries a through ball, but Carlos Calvo is caught offside. 79' Delay in match Mario Arqués (Jamshedpur FC) because of an injury. 79' Hand ball by Rene Mihelic (Delhi Dynamos). 78' Attempt blocked. Daniel Lalhlimpuia (Delhi Dynamos) right footed shot from the centre of the box is blocked. 77' Substitution, Delhi Dynamos. Daniel Lalhlimpuia replaces Narayan Das. 77' Attempt missed. Andrija Kaludjerovic (Delhi Dynamos) header from the left side of the six yard box misses to the left. Assisted by Lallianzuala Chhangte with a cross. 76' Attempt missed. Mario Arqués (Jamshedpur FC) left footed shot from the centre of the box is close, but misses to the left. Assisted by Memo with a headed pass following a corner. 75' Corner, Jamshedpur FC. Conceded by Martí Crespí. 73' Hand ball by Rene Mihelic (Delhi Dynamos). 73' Substitution, Jamshedpur FC. Sumit Passi replaces Tim Cahill. 72' Foul by Nandhakumar Sekar (Delhi Dynamos). 72' Bikash Jairu (Jamshedpur FC) wins a free kick on the left wing. 70' Andrija Kaludjerovic (Delhi Dynamos) is shown the yellow card. 70' Attempt saved. Lallianzuala Chhangte (Delhi Dynamos) left footed shot from the centre of the box is saved in the centre of the goal. 67' Attempt missed. Lallianzuala Chhangte (Delhi Dynamos) left footed shot from the centre of the box is too high. Assisted by Andrija Kaludjerovic. 66' Substitution, Jamshedpur FC. Jerry Mawihmingthanga replaces Farukh Choudhary. 65' Foul by Mohammad Sajid Dhot (Delhi Dynamos). 65' Carlos Calvo (Jamshedpur FC) wins a free kick in the defensive half. 64' Offside, Jamshedpur FC. Tiri tries a through ball, but Bikash Jairu is caught offside. 62' Hand ball by Narayan Das (Delhi Dynamos). 61' Goal! Jamshedpur FC 2, Delhi Dynamos 1. Farukh Choudhary (Jamshedpur FC) right footed shot from the centre of the box to the top left corner following a corner. 60' Corner, Jamshedpur FC. Conceded by Martí Crespí. 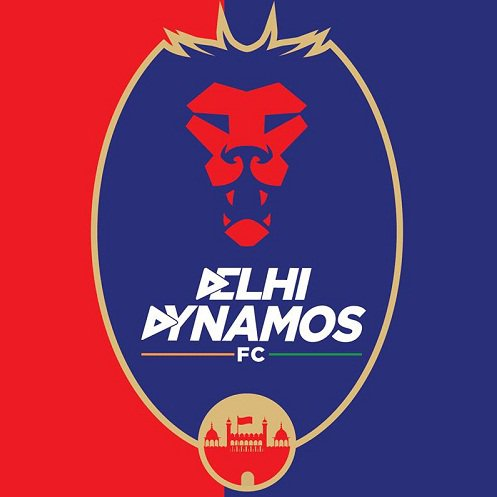 58' Hand ball by Marcos Tébar (Delhi Dynamos). 55' Attempt missed. Martí Crespí (Delhi Dynamos) right footed shot from outside the box misses to the left. 54' Gianni Zuiverloon (Delhi Dynamos) wins a free kick in the attacking half. 54' Foul by Carlos Calvo (Jamshedpur FC). 51' Corner, Delhi Dynamos. Conceded by Robin Gurung. 50' Attempt blocked. Mario Arqués (Jamshedpur FC) header from the centre of the box is blocked. Assisted by Farukh Choudhary with a cross. 47' Attempt missed. Carlos Calvo (Jamshedpur FC) right footed shot from outside the box is close, but misses to the right from a direct free kick. 46' Foul by Martí Crespí (Delhi Dynamos). 46' Carlos Calvo (Jamshedpur FC) wins a free kick in the attacking half. 45' Substitution, Delhi Dynamos. Nandhakumar Sekar replaces Rana Gharami. Second Half begins Jamshedpur FC 1, Delhi Dynamos 1. 45+2' First Half ends, Jamshedpur FC 1, Delhi Dynamos 1. 45' Corner, Jamshedpur FC. Conceded by Mohammad Sajid Dhot. 43' Gianni Zuiverloon (Delhi Dynamos) is shown the yellow card for a bad foul. 43' Foul by Gianni Zuiverloon (Delhi Dynamos). 43' Bikash Jairu (Jamshedpur FC) wins a free kick on the left wing. 41' Corner, Delhi Dynamos. Conceded by Tiri. 38' Gianni Zuiverloon (Delhi Dynamos) wins a free kick on the left wing. 38' Foul by Farukh Choudhary (Jamshedpur FC). 35' Corner, Jamshedpur FC. Conceded by Martí Crespí. 34' Corner, Jamshedpur FC. Conceded by Rana Gharami. 34' Corner, Jamshedpur FC. Conceded by Narayan Das. 33' Narayan Das (Delhi Dynamos) is shown the yellow card. 31' Attempt missed. Vinit Rai (Delhi Dynamos) right footed shot from outside the box is too high. Assisted by Marcos Tébar. 29' Goal! 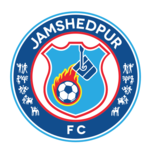 Jamshedpur FC 1, Delhi Dynamos 1. Tim Cahill (Jamshedpur FC) header from the centre of the box to the top left corner. Assisted by Carlos Calvo with a cross following a corner. 29' Corner, Jamshedpur FC. Conceded by Narayan Das. 24' Goal! Jamshedpur FC 0, Delhi Dynamos 1. Lallianzuala Chhangte (Delhi Dynamos) left footed shot from the centre of the box to the bottom left corner. 22' Foul by Mohammad Sajid Dhot (Delhi Dynamos). 22' Bikash Jairu (Jamshedpur FC) wins a free kick on the left wing. 20' Corner, Jamshedpur FC. Conceded by Mohammad Sajid Dhot. 17' Foul by Rana Gharami (Delhi Dynamos). 17' Carlos Calvo (Jamshedpur FC) wins a free kick on the right wing. 14' Substitution, Delhi Dynamos. Martí Crespí replaces Adriá Carmona because of an injury. 13' Delay in match (Delhi Dynamos). 11' Foul by Marcos Tébar (Delhi Dynamos). 11' Carlos Calvo (Jamshedpur FC) wins a free kick in the defensive half. 10' Rene Mihelic (Delhi Dynamos) wins a free kick in the defensive half. 10' Foul by Robin Gurung (Jamshedpur FC). 9' Rene Mihelic (Delhi Dynamos) is shown the yellow card. 7' Attempt missed. Lallianzuala Chhangte (Delhi Dynamos) left footed shot from the right side of the box misses to the right. Assisted by Marcos Tébar with a through ball. 6' Offside, Delhi Dynamos. Marcos Tébar tries a through ball, but Andrija Kaludjerovic is caught offside. 5' Hand ball by Memo (Jamshedpur FC). 4' Foul by Narayan Das (Delhi Dynamos). 4' Farukh Choudhary (Jamshedpur FC) wins a free kick on the right wing. 3' Offside, Delhi Dynamos. Adriá Carmona tries a through ball, but Andrija Kaludjerovic is caught offside. 3' Rene Mihelic (Delhi Dynamos) wins a free kick on the left wing. 3' Foul by Farukh Choudhary (Jamshedpur FC). 2' Vinit Rai (Delhi Dynamos) wins a free kick in the defensive half. 2' Foul by Tim Cahill (Jamshedpur FC). 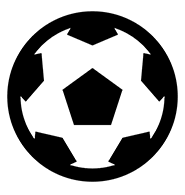 1' Adriá Carmona (Delhi Dynamos) hits the bar with a left footed shot from outside the box. Assisted by Rene Mihelic.